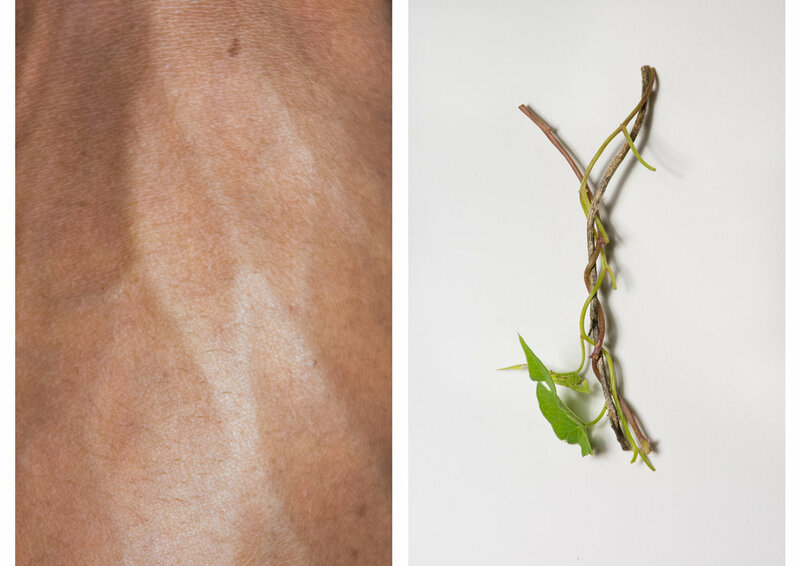 This project explores the observation of similarities found in natural objects with forms of the body. 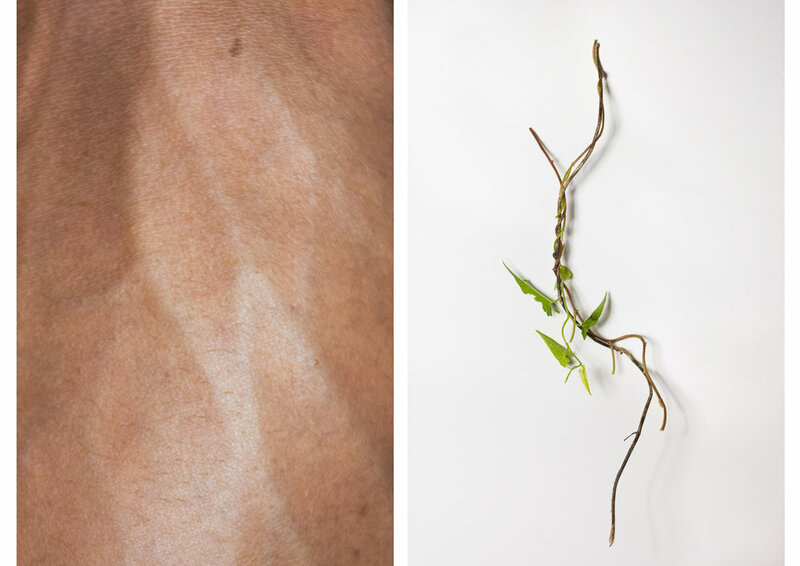 Placed side-by-side, the viewer is left to explore the consistencies in texture and form between the body and nature. With the natural objects photographed in a manner which evokes feeling of sterility and scientific documentation, one may derive that these natural objects were embedded within the body to effect the human form.